Including a dark time travel mystery, a psychedelic comic book platformer, and an Akira-inspired post-apocalyptic hoverbike RPG. By my calculations, approximately 72,000 new games are released on PC every day, and keeping track of them all is basically an impossible task. But of the dozens that pass before my eyes in any given second, a few stand out enough to catch my attention. These are some of the in-development indie games that I’m looking forward to playing the most. In this gorgeous, atmospheric folk horror game you ‘timeshift’ into the bodies of the dead to change the past. Set across 600 years of dark history, the choices you make will be reflected in the present day. This stylish, atmospheric driving game promises a chill synthwave soundtrack and is described by the developer as “Euro Truck Simulator meets Jalopy on a rainy summer night in 1986”, which sounds perfect. 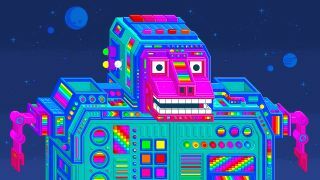 The dazzling psychedelic art of this retro-flavoured platformer comes courtesy of indie comic artist Jesse Jacobs. The titular Spinch is a “hyper-agile organism” on a quest to rescue its missing offspring. This interactive graphic novel tells the story of a group of shaman apprentices exploring a sacred, magical isle. The developer promises dynamic dialogue, high replayability, and choices that matter. This quirky-looking “tactical management sim” is set in the hot, sweaty, crowded tunnels of the London Underground and blends base-building, pausable real-time strategy, and spatial puzzling. Described by the developer as a “complex story-driven RPG”, Insomnia is set in a noir-flavoured, retro-futuristic space-city, has echoes of Fallout, BioShock, and Mass Effect, and has been in development for eight years. A co-op game, with more than a hint of FTL, about building, customising, and flying a spaceship with an overstretched crew. Survival depends on choosing the right components and, importantly, teamwork. This novel “racing platformer” features stylish, striking neon-tinged visuals and its unusual, slightly odd mix of jumping, flying, and driving can be enjoyed on both randomised and custom-made tracks. This super stylish, fast-paced “racing RPG” is set on a ruined, post-apocalyptic Earth “where your only friends are a vintage hoverbike and a packet of instant noodles.” It counts Akira and Redline among its influences. This Japanese-influenced racing game is inspired by the likes of Ridge Racer and Initial D and has an interesting control system whereby the right analogue stick controls the angle of your car as you drift.